The chart lower on the page shows my draft forecasts for 2020 crowds by week at Walt Disney World. I will update this forecast at least once, in the summer of 2019, and may update it again after that. 2020 will be an interesting year at Disney World, with crowds from the new land Galaxy’s Edge dominating the news early in the year, but after that other new rides opening and Disney World beginning its 50th anniversary celebration later in the year. More on 2020 at Walt Disney World is here. For 2019 Disney World crowd forecasts, see this. As is the case in almost every good Disney World crowd calendar, the forecasts are about wait times on rides–not about how crowded the areas outside the rides might be. The “moderate crowd” weeks–those in black and rated 5-7–have crowd levels I would not particularly recommend to first time visitors, though the crowds can be managed. 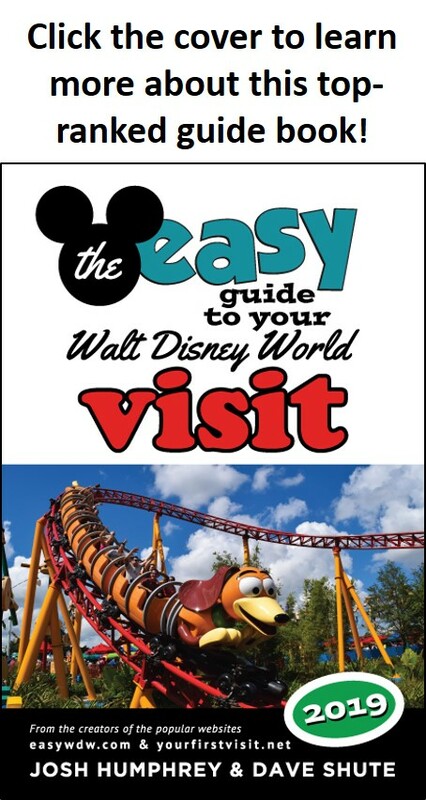 However, I’d go during such weeks myself with no hesitation, and think these levels are totally OK for returning visitors who don’t need to see everything and already know how to work Walt Disney World. Hi, thanks for the info, I will be a first timer to DWR in 2020(but I’ve been to DisneyLand), and if I choose to go in March, which is going to be very crowded, do you think my experience for ride wait times will be much improved if my family purchases Fastpass? Thanks in advance. Hi Nicky. The first bit of good news is that access to FastPass+ is free and included in everyone’s ticket. The key is using it well. The program is explained on this page. The second bit of good news is that most days of the year, good plans can overcome most of the problems of high crowds. Good plans include judicious use of FastPass+, getting to the parks before they open, and sequencing the rides you see–especially first thing–to avoid crowds. For an example of such a plan, see this, part of this. What did you use to determine March 2020 being so high? Kelly, every year massive numbers of public school spring breaks begin in early March and continue until the week after Easter. Disney crowds are profoundly shaped by how easy it is for families with kids to come, so every year March (after the first week) sees heavy crowds. For an example of how these breaks will unfold in 2019, see this. Hi, do you know yet when the cheer/dance competitions are in April 2020? We went in May 2017 and the cheer camps really affected the crowd levels so hoping to avoid on this trip. Thanks so much!! Thanks so much! I really appreciate all of the information on your site! We’re trying to decide between the week of April 19th or the 26th and thought maybe one would be better than the other to avoid them?? Beth, the week of the 19th should be fine, but you’ll see a day or two of spillover from Easter breaks, plus a but of added visitation form the Northeast who is on spring break that week. The 26th will be slightly better. But either will be fine! Thank you so much! I’m so glad I found your site!! So helpful! Thanks again for the info for 2020, we are flying in from Australia, so we need to work in with our own school holidays etc, we have from about the 20th March to the 17th April, and wanted to do 7 days, somewhere over that time. I’ll look at your links for planning the fast passes. Thank you! Hi Andrew, for what it is worth, touringplans has average January 2019 daily waits after MLK day as being 5.2 (TP is fine for historical crowds–it’s their forecasts that can be curious). That puts them slightly below average, and almost a full point below last year’s number for the same days. On this site, for reasons too complicated to explain here, an average week gets a 4 ranking. So I am OK with my forecast for next year. Star Wars will make absolute waits not directly comparable to prior years, but ought not to change a lot the relative ebb and flow of waits across the year, which is what I focus on. What might change things on the relative ebb and flow would be much bigger differences in 2020 in the highest and lowest date-based ticket prices than we see in 2019–but there is nothing on that front yet. Any predictions for how much ticket prices/resort prices will increase for 2020? We just saw a big food increase. Do you think food prices will likely increase as well? Kim, I don’t track food prices closely enough to have an opinion on them. What I expect for 2020 is a re-patterning of hotel and ticket prices to try to shift demand to currently less popular times. So times when families find it easy to visit Disney World will see substantial ticket and room rate increases, and times when it is harder for them to go will see much lower increases. So there might be 20% increases in ticket and room prices during the “easy to visit” times, and “just” 5% at some of the other times. Wow, thanks for this information! My boyfriend and I are planning our “first” WDW trip (we both haven’t been since we were small children, pre 2008 economy crash). We are planning to go May 13th 2020 to May 18th 2020. I like what I’m seeing about crowd levels and it definitely put my mind at ease. Do you think your prediction is still accurate given the update that Galaxy’s Edge will be opening August 2019? I am nervous to plan such an expensive, once in a decade big trip. Also, I know prices for 2020 will be released summer 2019. Do you think May 2020 will still be a reasonable time to go? We will have a budget of about $2000 for the both of us (tickets and hotel) and plan on staying at the cheapest All Star resort. Thank you!! The earlier open of Galaxy’s Edge may lead to some people who hoped to avoid the opening cancelling their planned visits this fall and rescheduling them into later 2020, but I don’t see that having an impact on the relative crowding of Disney World in May. 2000 should be about right, depending on how much prices go up. You said just tix and hotel, and for the two of you 5 nights in the cheapest ALl-Star room and 6 day tickets should be right around that. Richard, because of Star Wars, President’s Day week in 2020 will be as busy as it has every been. The week after should be much better, and with good plans and judicious use of FastPass+, overall you can make that set of weeks work just fine. Do you believe that all parks will be busy due to Star Wars or mostly HS? Finally do you have any thoughts as to whether the Free Disney Dining Deals will appear in the UK end April( as has been the case ) or do you see big changes to this or, perhaps, not appear at all? Richard, I don’t quite understand your first question. I think the other parks will be a bit higher, but none like Hollywood Studios–see this. ie) is the whole of the week following PD really busy or does it tail off quite quickly. Richard, while it is heaviest over the weekend, about 20% of US kids have that whole week off, so it is bad all week. How much of an effect will Mardi Gras have an effect on crowds the last week of February? And what accounts for the increase in crowds the first week of March? (I’m guessing the beginning of some spring break crowds?) Thanks! Ashley, folks in only a couple of states have Mardi Gras off, so it does not affect crowds. And yes, March signals the beginning of Spring Break. We are planning on taking our son, his wife and 3 kids to Disney World. 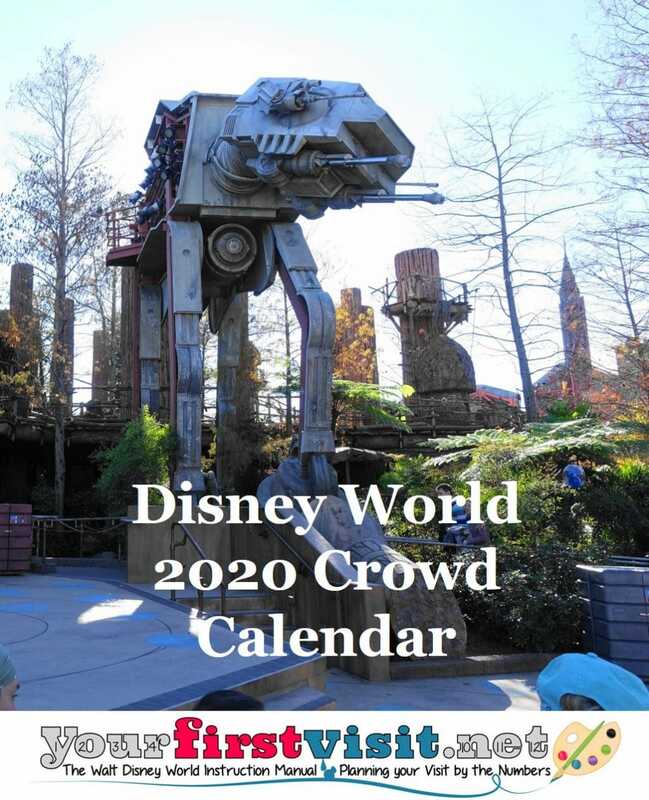 What are your thoughts on crowds for February of 2020 or 2021? Mike, my thoughts on 2020 February relative crowds are on this page. 2021 crowds I’d forecast to follow the same pattern.